Finding an excellent massage chair can be a struggle when you’re shorter than the average user. With time the market might start to optimize massage chairs for petite users as well. But, it’s still difficult to find a chair recliner that would suit your needs and your demands. With a petite stature, many massage chair recliners don’t manage to reach all the way to your shoulders. In some cases, you also can’t reach the foot massagers. 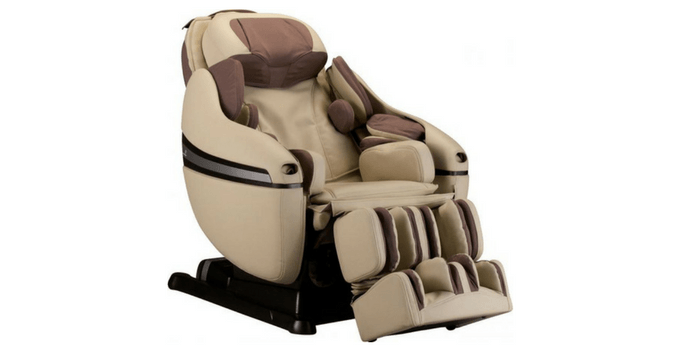 We compiled a list of top sellers, namely 4 best massage chair brands for petite users. We hope to help you find a massage chair that will be able to accommodate you perfectly and provide you with the best massage experience. For those who like to be in control and customize the massage to their taste, this is the massage chair for you. Titan Pro Executive comes with a number of rollers and various intensity settings for the whole body. This is a great chair for any petite user that is no less than 5’3”. Otherwise, you may not be able to reach the feet rollers. An S-track with 3D massage roller design, Titan Pro claims to provide a good quality massage. Its roller track extends 32”, namely all the way to the tailbone. Users can choose from 6 pre-programmed massage options and 5 massage techniques. The speed and intensity of each massage are adjustable. You can choose between a spot/partial massage program or one of the three zero gravity positions. Executive massage chair has heat therapy in the calf, knee, and the lumbar area. What’s more, the air massage therapy can be regulated, as well as the area of the massage. While there surely are downsides to this massage recliner, it’s difficult to say with the lack of the online reviews. We’re sure the temperature cannot be controlled. The 3D foot roller massage is slightly intense, which might work for some people. The owner’s manual is very poor. Titan Pro Executive massage chair seems like a great value for money. The users have an option to program their specific massages. With a deep tissue massage many are looking for, this is a very good option. Once called the best massage chair in the world, Inada Sogno is a predecessor of Inada Dreamwave. While this is one of the more expensive models, the Inada Sogno accommodates petite users very well. It has a “Youth” program that is perfect for the users below the average height. 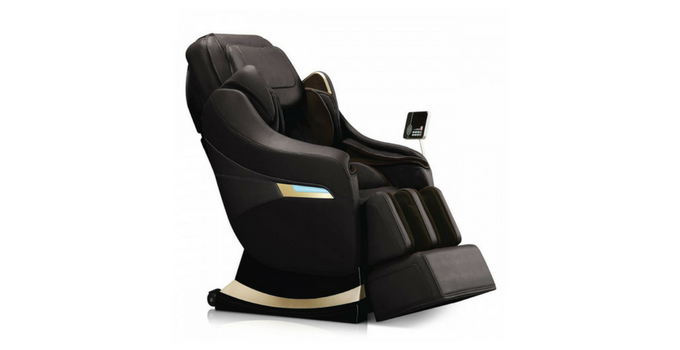 Sogno Dreamwave is a Japanese massage chair with advanced massage options. With an S-track design, Inada Sogno may be a slight disappointment at first, but it’s the massage options that will convince many. Inada claims there are more than a 1000 massage technique combinations. Apart from that, they are all adjustable by three intensity settings. With more than 100 airbags, Sogno Dreamwave is a strong competitor. What’s more, it offers a full body scanning option, body stretch, as well as heat therapy in the lumbar and the seat area. The foot and calf massage may be satisfactory enough with the airbags. There are no foot rollers, which can be a major downside for some users. If you’re looking for a soothing foot massage, this may not be the chair for you. With the S-track and the lack of foot rollers, Inada Sogno seems like a disappointment at first. 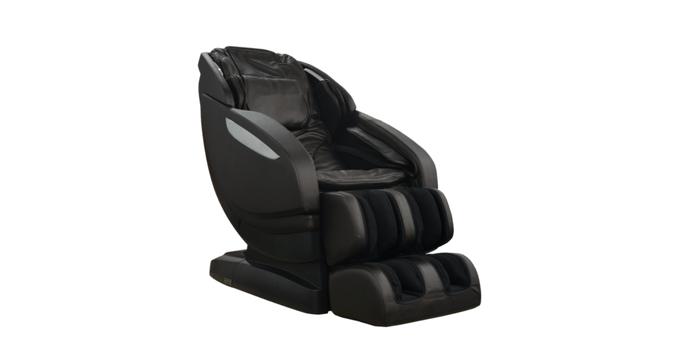 But as a wider picture, Sogno massage chair packs a whole lot of features that please many. The good thing about it is that it can also accommodate users up to 6’5”, which makes it a diverse and advanced massage chair. 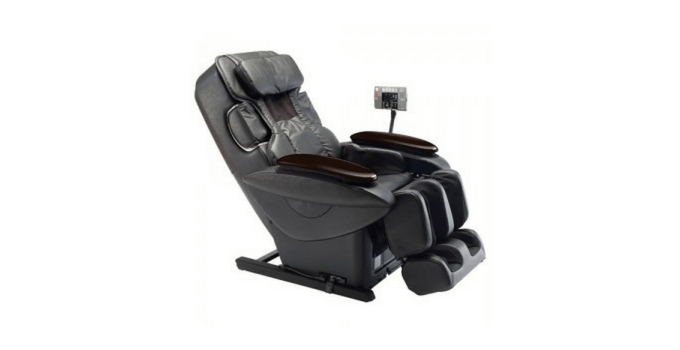 Infinity Altera massage chair comes from the company that made Infinity IT-8500, a quite popular massage chair. Both of these are recommended for a petite user (as opposed to Infinity Iyashi, which accommodates tall users). The Altera shiatsu massage chair was designed especially for people who are average-sized or shorter. With a hybrid S-/Ltrack massage design, Altera provides an excellent massage, combined with numerous massage techniques and options. What’s more, Altera provides a body shiatsu massage as one of the massage techniques. In terms of air massage, you can activate the airbags in different areas (back, shoulders, arms…). With a lumbar heat, zone massage, and a body stretch, Altera massage chair provides great therapeutic value. There are only a few downsides to this massage chair. The temperature of the lumbar heat cannot be regulated. Also, there are not as many airbags places on this chair as there are in its competitors. Overall, Infinity Altera is an excellent massage chair that is perfect for petite users. Space-saving design and the rich features make it one of the top massage chairs on the market today. Panasonic EP30007 is also known as EP30007KX Real Pro Ultra massage chair. This is a great massage chair for a petite person. Whether you’re a casual user or someone with a chronic back pain, this chair packs a lot of features that result in a soothing massage experience. EP30007 comes with an S-track design, which is the industry standard. The best part about this chair is that it offers more than 1000 massage combinations. All of them can be adjusted to your taste through three intensity levels. Moreover, you can create a body massage that focuses on a certain area of your body. Another extra kick in the real deep tissue massage, which is extremely beneficial for those with chronic back pain but it might be too intense for the casual users. All of you looking for a quick pain relief, EP30007 offers a body stretch function. You can also stretch your arms and legs separately if you wish. The obvious downside is the lack of heat therapy function, which is nowadays very common with the majority of the models. It would add an additional therapeutic value to the chair. Another poor feature is the foot massage. It might leave you disappointed. All in all, Panasonic EP30007 is an excellent massage chair that is highly customizable. If you’re willing to overlook the heat therapy mode, the chair provides strong therapeutic benefits and can be used by anyone. A few last words: which is the best chair for a petite person? When it comes to choosing a chair recliner, the decision can sometimes be difficult. We’ve reviewed four different massage chairs for petite users and even though all of them are advanced chairs that undoubtedly provide a great massage experience, there is only one favorite. With all different wellness massage chairs and massage chair brands, we did a massage chair comparison. Our choice is Infinity Altera massage chair. While it has a lot in common with the other models, it comes with a hybrid track, a shiatsu massage, and a body stretch. We believe it to be the best value for money and an extremely beneficial therapeutically.